La Jolla also boasts a vibrant art community and is on the cutting-edge of research. Museum of Contemporary Art San Diego, La Jolla – Houses a permanent collection of more than 4,000 works created after 1950. Stuart Collection – Located at the University of California San Diego (UCSD), the Stuart Collection is made up of 17 installations by leading artists of our time; the large-scale creations are set throughout the university campus. La Jolla Playhouse – A Tony Award-winning theatre that presents bold and innovative productions from May through November. Birch Aquarium at Scripps – Perched on a bluff overlooking the Pacific Ocean, Birch Aquarium is the public outreach center for the Scripps Institution of Oceanography. The aquarium features more than 60 habitats of fishes and invertebrates. Prospect St., the center of La Jolla’s bustling business district, offers upscale boutiques, art galleries and world-renowned restaurants. The shopping scene is known for designer fashions, high-end jewelry, ethnic artifacts, rare antiques, and exotic cars. If window shopping is not your thing, fear not! While La Jolla’s reputation for luxury goods (at price tags to match) is not to be exaggerated, the every woman (or man) is sure to find affordable treasures within mass retailers like Banana Republic and The Gap; the Roxy surf shop; or the colorful children’s boutique, Fresh Produce. Check back on Wednesday for the best dining spots in La Jolla, and for our first giveaway in the San Diego Neighborhood’s Sweepstakes. 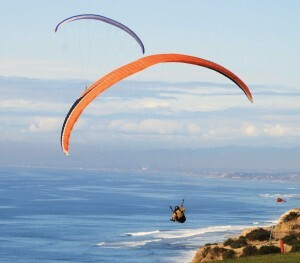 This entry was posted in Insider Tips and tagged giveaway, la jolla, north county, sweepstakes by Courtney. Bookmark the permalink. 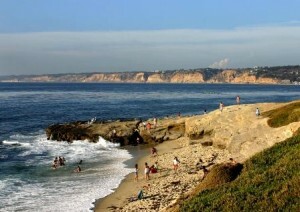 I love San Diego, and especially love La Jolla Coves,haven’t been in a while due to family hardships, however, it is one of the most amazing places to go in the summer!!! !My kids love it!! And so do I!!! Wow, I really want to travel down to SD. Warm weather, snorkeling, animal parks… Sounds amazing. 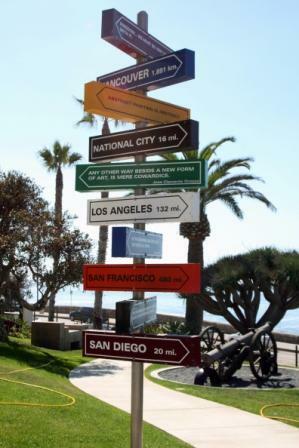 we’ll love to take the kids to La Jolla since we live in the desert part of San Diego it’s a nice way to scape the hot weather and explore San Diego staycation stile!!! I’ve had a few ‘perfect moments’ in my life. You know the kind, where time stands still and you feel as if you are truly at one with the planet and nature. Well, one of my best perfect moments was snorkeling in La Jolla Cove. I was surrounded by tiny, fast fish and there were so many of them, they were all i could see in every direction. They were so fast I had no idea what they were. They circled so close, engulfing me without touching me and as if by some secret command they would all change direction at once. I could feel them change the current around me. Equally amazing was the pelicans and sea gulls diving into the water to scoop them up, just inches from me. This might have lasted only 5-10 minutes, but it is still one of the most memorable days of my life.